Destination Star Trek is an officially licensed Star Trek Event ran by Media 10 and Massive Events. They have hosted the largest conventions in Europe. The Trekkie Girls have been official bloggers to all four events so far and can be seen in panels or hosting. The first event in London 2012 boasted all five captains in attendance and was hailed the largest Star Trek Event in attendance. It always boasts a great lineup pulling in guests that haven’t been seen in the Star Trek convention circuit for year, such as Will Wheaton in 2016. Over the years the event has grown it’s portfolio of sets, now including The Original Series bridge, The Next Generation Bridge, a Borg Alcove and Klingon Battle Bridge chair. Considered an ‘event’ rather than a convention it hosts panels, costume contests, parties, a museum and trading stalls. In 2016 the event smashed it’s own Guinness World Record of ‘The Most People Dressed as a Star Trek Character. Our first impression was that this had all the hallmarks of being one of the best DST's ever! The queuing lines had been much improved, the vendors included all the ones fans had been asking for including Starship Collectors, The Silver Screen Bottling Co, Anovos and the Official Star Trek Merchandise. This is a great opportunity for us Europeans to buy and get a sneak peak of what was to come. Fan groups had tables along with independent vendors (Including Carole's 'dealer'!). The gaming zone included Star Trek games which was a bonus! This ranged from pinball machines, retro PC games up to the Virtual Reality Bridge Commander which we were desperate to try all weekend but grateful we didn't because off Sam's gaming addiction! 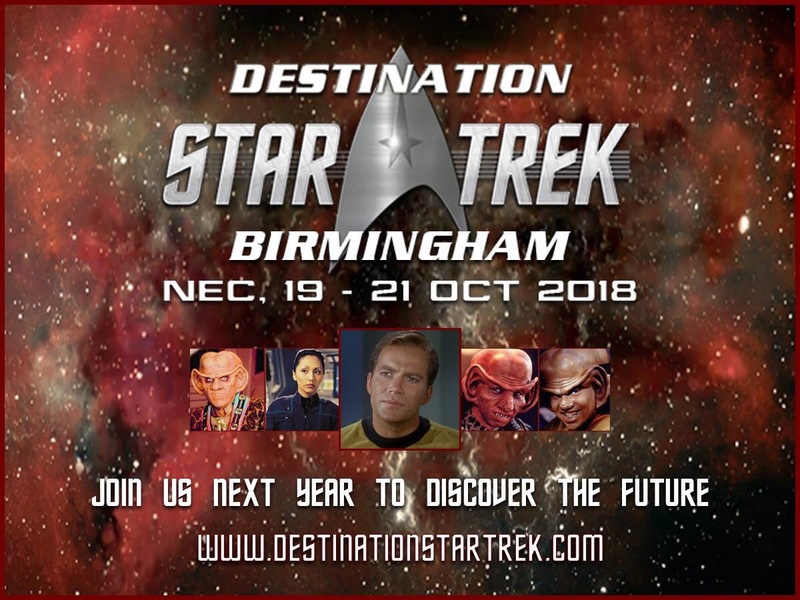 The details of the parties have been released and we are 5 weeks away from our next away mission DESTINATION STAR TREK BIRMINGHAM!! Taking place 19th - 21st October at the NEC Birmingham. The most important details ... the parties have just been released and the provisional schedule has been made available. Remember, these timetables can and very often do change. You'll need to keep an eye out throughout the weekend. But it helps us to start planning. 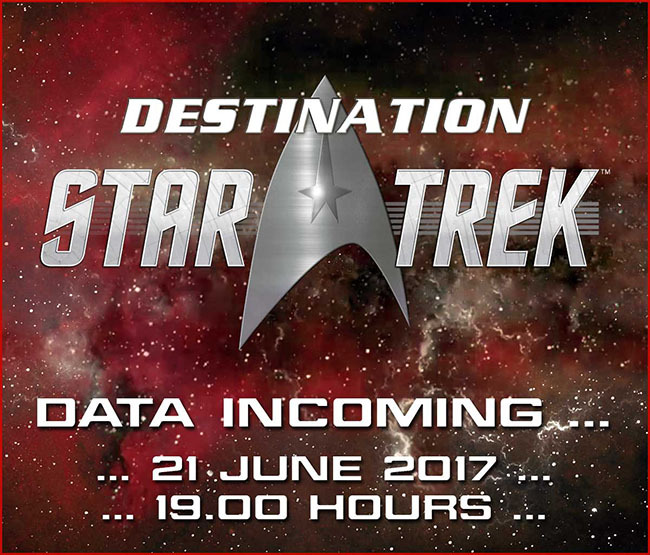 Credit Cards on Standby for Destination Star Trek – On Sale Next Week!